Don't leave out the beef booster in this recipe, it will be the difference between bland and boring or give me more! Combine beef and sausage mince with KNORR Beef Booster and form into 40 rissoles. Preheat a large frying pan and cook the rissoles until cooked through. Remove and keep hot. Heat oil in large sauce pan and sauté onions until softened and golden brown. Add 1.2 L of water to the cooked onions and heat, whisk in the KNORR Rich Brown Gravy and bring to the boil stirring continuously, reduce heat and simmer for a further 2 minutes. Place the 1.12 L water in a large pot and bring to the boil, remove from heat and whisk in the KNORR Superior Instant Mashed Potato Mix until well combined, cover and place aside for use. 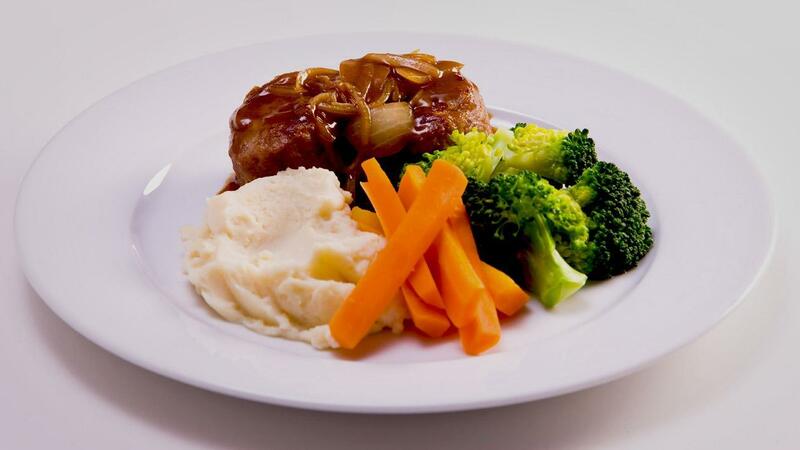 To plate, serve rissoles with mash, steamed broccoli, carrots and top with the onion gravy.